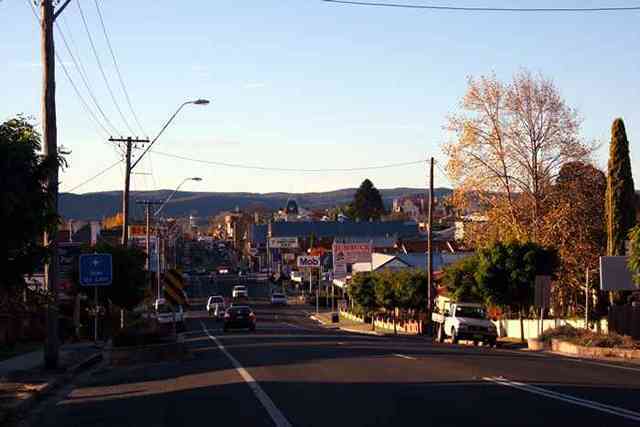 Tenterfield is easy to access from all directions. 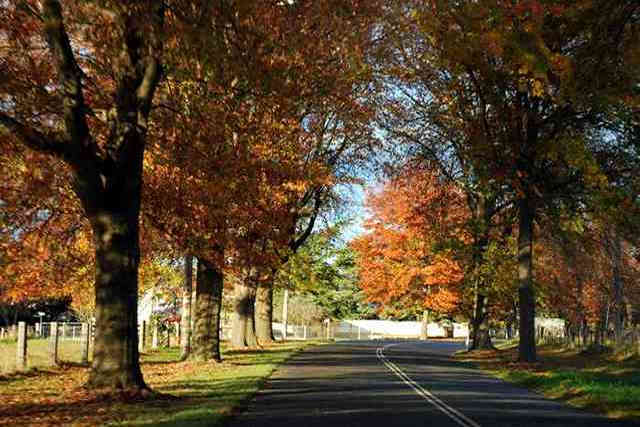 It is located in the New England region at the intersection of the New England and Bruxner Highways. 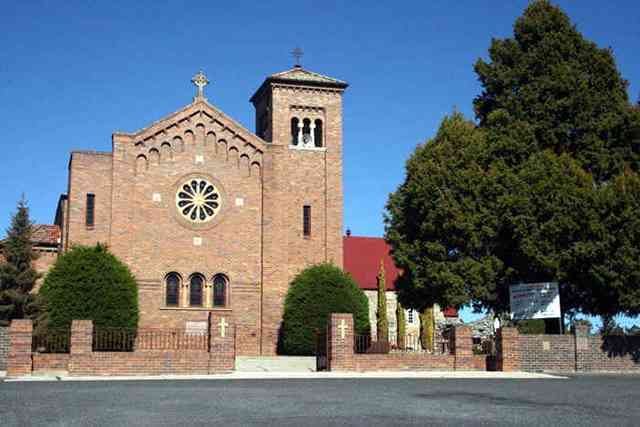 Tenterfield is a three-hour drive from Brisbane, 2.5 hours from Byron Bay, two hours from Armidale, New South Wales and 10 hours from Sydney. 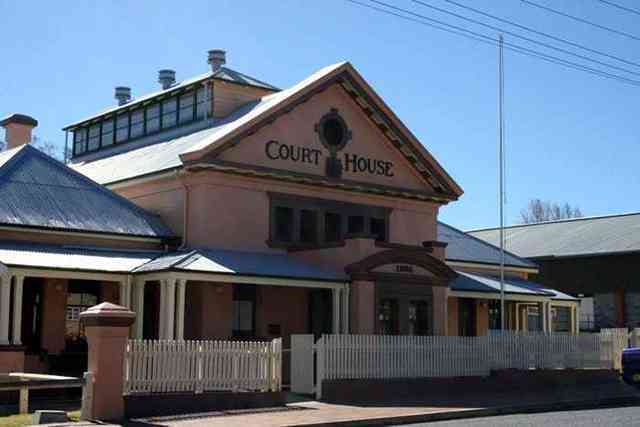 The town sits in a valley astride the Great Dividing Range, just 18 kms from the Queensland border. There are regular bus services to the town from Queensland or within New South Wales. Crisps Coaches and Greyhound Bus Services operate to and from many destinations. Comfortable with its middle-age, the town takes seriously its responsibilities as the keeper of a significant proportion of Australia's national history. Early settlers in the Tenterfield district left a legacy of buildings which now stand as proud memorials to those whose efforts put the town - and the nation - on the map. The fabric of history cannot veil the vibrancy of the current population of Tenterfield. With a calendar dotted with festivals, there is always a reason to be in this town. Visit the Food & Wine Festival for a chance to sample the local products, and the Oracles of the Bush Festival, a popular annual celebration of bush poetry. If more rural events are what you fancy, there are camp drafting events and sheepdog trials. 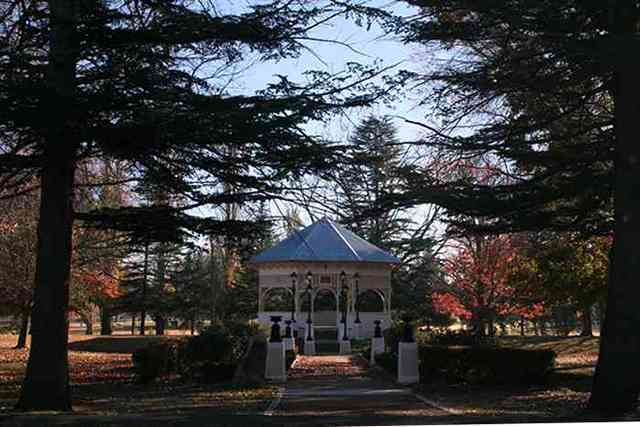 Tenterfield offers a diverse range of accommodation for the traveller, whether for one or two nights or for a longer stay and includes motels, hotels, B&Bs, farmstay, bush cabins, caravan parks with onsite vans, cabins and self-catering cottages. 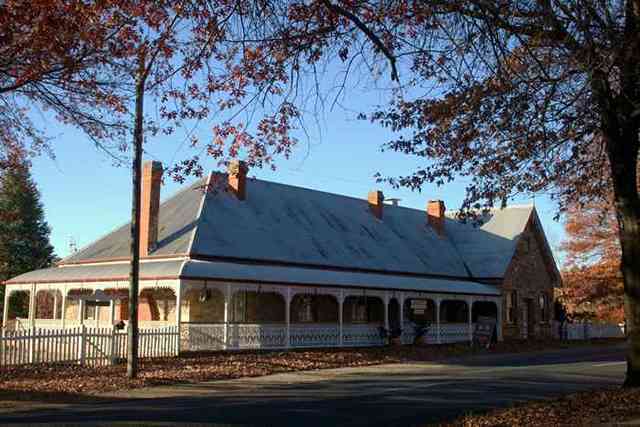 Tenterfield prides itself on being able to offer a wide range of food: take-away meals, snacks in historic cottages or intimate coffee lounges, and gourmet dinners in elegant surroundings. If you would like your business to be added to this site please Contact Us and we will explain our terms and our very reasonable cost of inclusion. Stannum House, a grand mansion built by 19th Century mining magnate John Holmes Reid, occupies the highest point on Rouse Street. Now a B&B, Stannum is an outstanding example of Victorian grandeur. 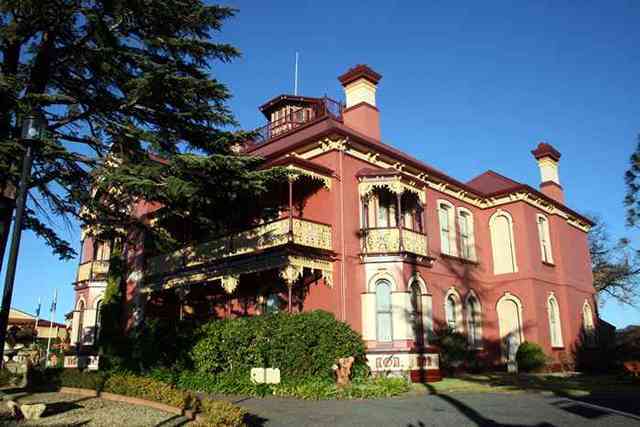 In High Street, east of the New England Highway, the fine, sandstone building known as Deloraine is also a B&B, though it was once intended to be a synagogue. 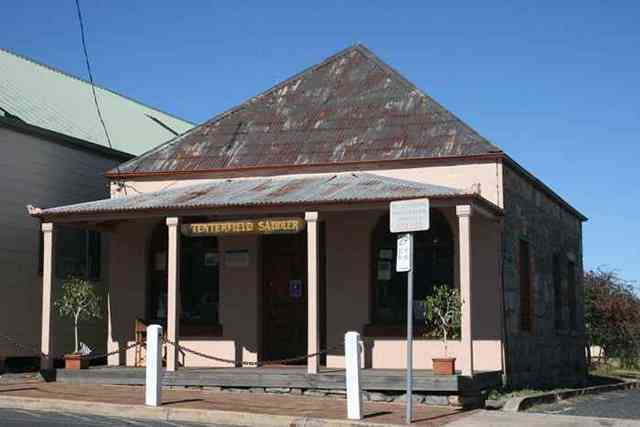 Opposite the Royal Hotel in High Street is the famous Tenterfield Saddler, a sandstone building with a wooden verandah. George Woolnough, the third saddler to occupy the premises, was immortalised by his grandson, Peter Allen, in his song, "The Tenterfield Saddler". Peter Allen lived with his grandfather for much of his youth. On the corner of Rouse Street and Manners Street stands the Post Office, dated 1881. In front is a memorial to Edward Whereat, who stood down to clear the way for Henry Parkes to win the seat of Tenterfield in 1842. Across Manners Street is the School of Arts where Henry Parkes, regarded as the father of Federation, made his famous speech that urged the States toward Federation. 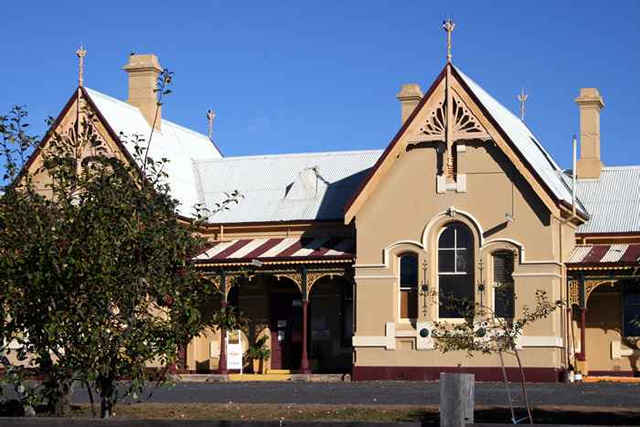 Housed in the School of Arts complex is the Henry Parkes museum(open to the public), the theatre, the public library and the Courtyard Café where refreshments are available. The Information Centre is just a short walk away for purchase of souvenirs, etc. Tenterfield claims other political connections, too. Robert Mackenzie arrived from Scotland in 1826 and later became the first Treasurer of Queensland in 1859 and Premier in 1867. 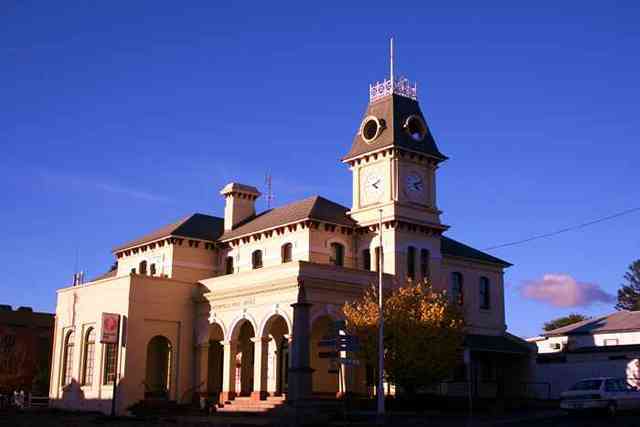 Sir Stuart Donaldson, who would become the first Premier of NSW, built Tenterfield Station, where he and Sir Thomas Mitchell, the Surveyor-General fought the last duel in Australia in 1851.Whether it was due to poor aim or nervous tremors is unknown, but no injuries were recorded. By 1903, when Alice Walker and AB 'Banjo' Paterson married in St Stephen's Presbyterian Church, the Walker family owned Tenterfield Station.